I need your suggestions about studying CFA L1 for December exam by CFA books with CAIA L1 for September exam , Is it good combination idea ? CAIA is much easier. 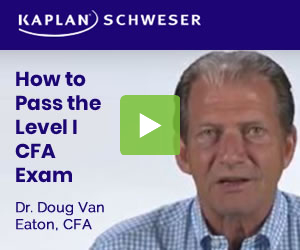 Why not take CFA Level I in June? Then go right into the CAIA in September (schedule for as early as possible). That should be easy. Then if you haven’t passed, re-take CFA Level I in December - the second time around you shouldn’t need as much time to study, especially because it’s just Level I.
I have limited study time daily so can’t attend CFA in June . Hi Guys - sorry to hijack this thread but I am writing CFA L2 in June and thinking of writing CAIA L1 in Sept. anyone that has experience that can advise on wether 2.5 months between writing CFA L2 and CAIA L1 is enough time to prep for CAIA L1?